I have often read this text and wondered what it must have been like for the disciples to see Jesus perform such an act. In fact, the washing of the feet was a role that was reserved for a servant and a servant only. Jesus washing the feet could even be viewed as something wrong, not only is it not the master’s role, it most definitely is not the role of the Son of God, right? I believe that Jesus knowing his time had come as he says in the first two verses, knew he was about to take on something that was not his, but because he loved us he would take on anything. 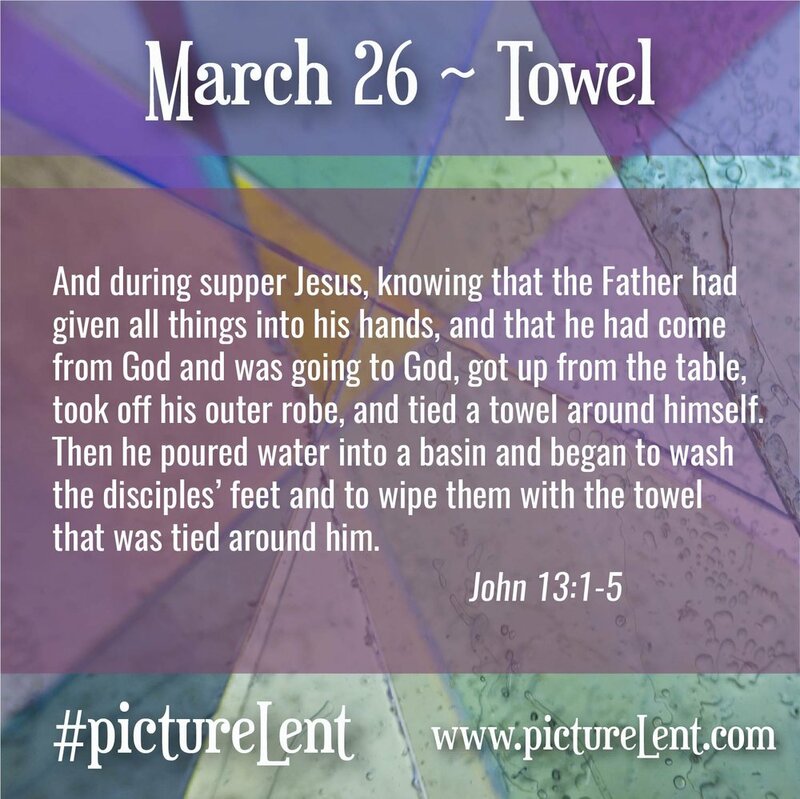 You see the towel, and the feet washing gives us an image of Christ preparing his disciples and even us for the sacrifice that he was to make for us all. Just as he was to die on a cross in our place, he washes our feet in our place as well. Taking on the role of a servant, of a living sacrifice, so that way we could be free. Philippians 2:6-8, reminds us that Christ came as a servant for us, concerned only about our own hearts and lives. So much so that he would empty himself completely, leaving only his true and perfect love for us. A towel that held for a moment the weight of all that Christ was soon to face and soon conquer. A towel, used to wash dirty feet, the feet of those who were maybe undeserving, yet in the eyes of Christ they were worth more, including paying the ultimate price for them. It is Jesus who cleanses us of all of our imperfections, sin, and all that may be considered unclean. Maybe today we are struggling, searching, battling, well my friends the journey is long, but there is hope, there is life! Now, as we gather at the table where Christ is this Lent, he stands before us in this moment, with a simple towel, and he takes our journeyed feet, our journeyed lives, and he takes on the role of a servant. Though it may not be his place, he does it still, emptying himself for you, giving all that he is. In this simple towel, we see salvation, he has laid down all for us, may we do as he did humbly. Dear Lord, thank you for goodness and your grace. Where we are undeserving you see us as deserving of all that you are. You empty yourself for me, leaving me with your true and perfect love. Your love is enough for me, and I pray that just as you have humbled yourself, may I also do so. I praise you and I thank you all in the name of Jesus Christ, Amen. What significance does this text have for you? What do you believe it means? Jesus is the Teacher. What is he teaching? How can we apply this teaching to our lives today? How has Jesus "washed" your feet?